EXCLUSIVE: Shoot underway on adaptation of WWI classic; Asa Butterfield, Paul Bettany, Toby Jones co-star. The BFI has boarded production finance on director Saul Dibb’s (Suite Française) adaptation of the classic British stage play Journey’s End. Principal photography is underway in Cardiff and Ipswich on the feature which stars Sam Claflin (The Hunger Games) in the lead role alongside Paul Bettany (A Beautiful Mind), Stephen Graham (Boardwalk Empire) Asa Butterfield (Miss Peregrine’s Home for Peculiar Children), Toby Jones (Tinker Tailor Soldier Spy) and Tom Sturridge (Far From the Madding Crowd). Simon Reade’s adaptation of R.C. Sherriff’s 1928 play also draw’s on the latter’s novel co-written with author Vernon Bartlett. Guy de Beaujeu is producing with Reade through their production company, Fluidity Films (Private Peaceful). Sam Claflin tweets from the set of Journey’s End. Director of photography is Laurie Rose whose most recent credits include Free Fire and High Rise. The creative team includes editor Tania Reddin, production Designer Kristian Milsted (The Girl With All the Gifts), and costume designer Anushia Nieradzik (A United Kingdom). Metro International Entertainment is handling worldwide sales. Molinare will handle post production. 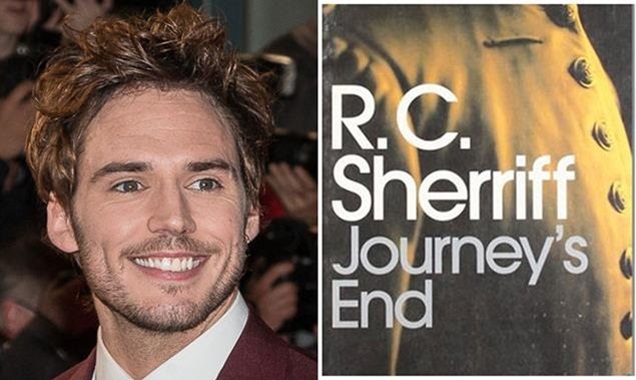 In Journey’s End, set in the trenches of WWI, 18-year-old new recruit Lieutenant Raleigh (Butterfield) has pulled strings to join his childhood friend and hero Captain Stanhope (Claflin) on the front line. However, Stanhope is horrified by Raleigh’s arrival into the tension and claustrophobia of the officers’ dugout where they are anticipating a massive German advance. Stanhope has been altered almost beyond recognition by three years of war, kept going only by the thought that when the war is over he can return to his love – Raleigh’s sister Margaret.